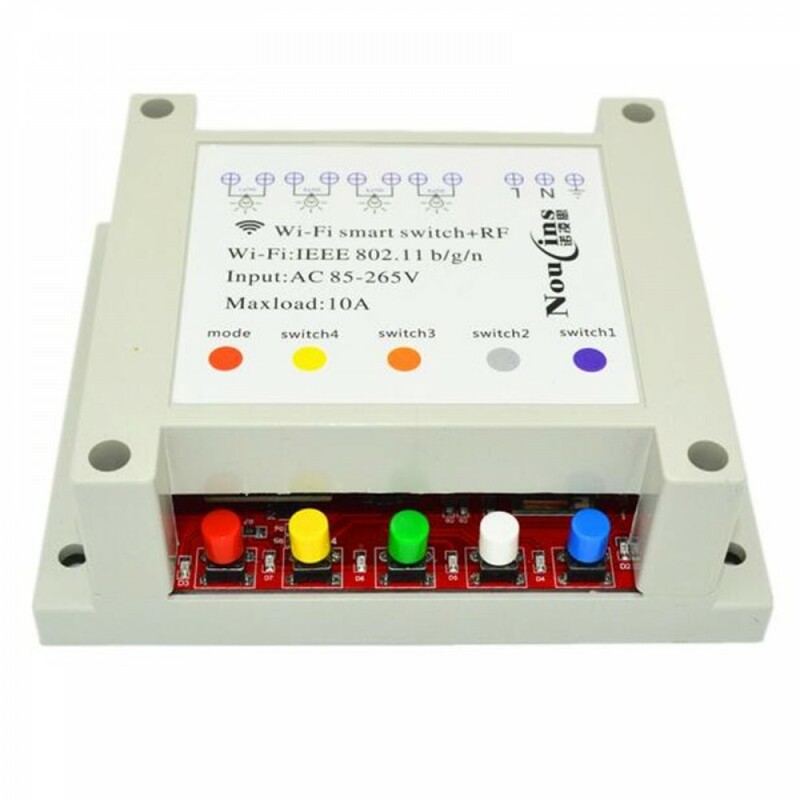 1 The Wifi Switch must be kept connectting with your house wifi router service at any time. It can't send wifi signal by itself. 2 You can use your phone to control it by APP eWeLink in 2G/3G/4G network after finish set up. 3 Support three working modes: momentary, interlock(latching) and self-lock(toggle) control. 4 Support Max 8 timing tasks for each added device. 5 Support status tracking, home appliances status timely feedback to your App. How to connect phone with switch? 1 Download and install the software of “eWeLink” from APP store or Google play store. 2 Follow “eWeLink” instructions to register an account on it. 3 Log in your account of “eWeLink”. 4 Press switch 1 button (Or Switch 2, Switch 3, Switch 4) for 5 seconds until you see the D2 light flash 3 times quickly and 2 times slowly, then release it. 5 Add device on mobile phone by eWeLink APP according its introduction. How to learn 433mhz transmitter? 1 Press “learning button” until you see LED flash 1 time, release button, then CH1 learn. 2 Press “learning button” until you see LED flash 2 times, release button, then CH2 learn. 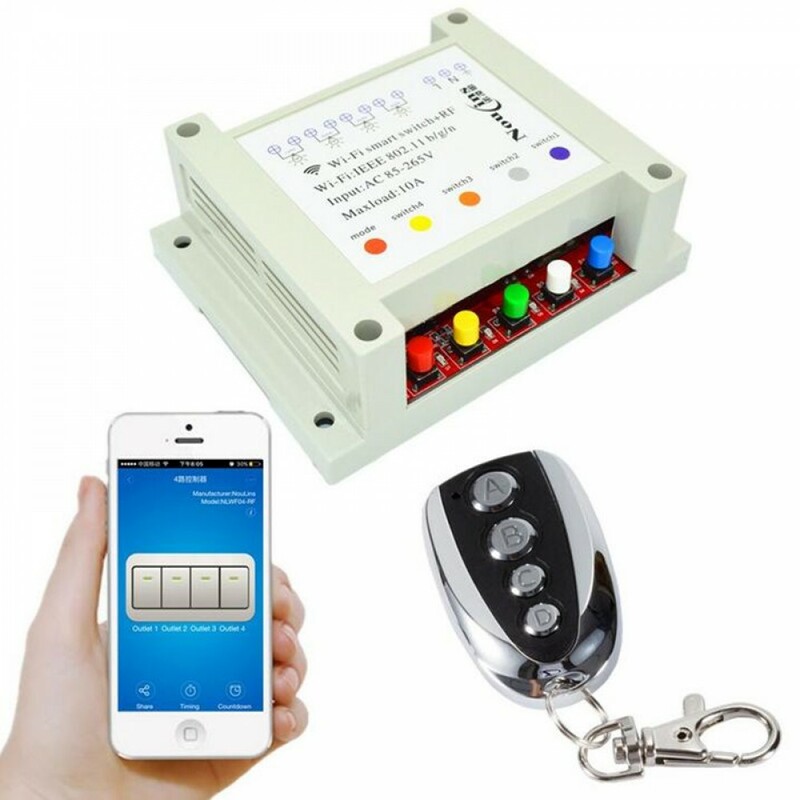 3 Press “learning button” until you see LED flash 3 times, release button, then CH3 learn. 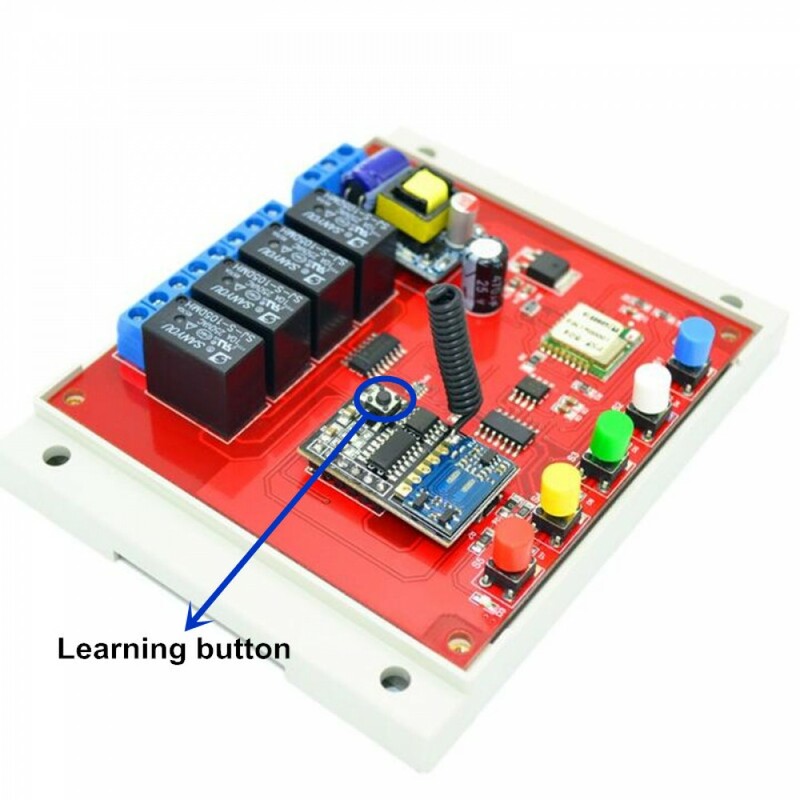 4 Press “learning button” until you see LED flash 4 times, release button, then CH4 learn. Step 2: Cut off power, and keep pressing "learning button", then supply power, when the LED flash 3 times then release button. OK! You can use remote to control the switch now. ​How to clear 433mhz signal? Step 3: The LED light will flash 4 times slowly. How to set working mode? Supply AC 85-250V power to the relay. 2: Press mode button until you see D3 flash 2 times, release button, now it is inter-lock or latching. 3: Press mode button until you see D3 flash 1 time, release button, now it is momentary. What is the difference between working mode? 2 Inter-lock (latching): Press remote button A , receiver CH1 ON, and receiver CH2,CH3,CH4 OFF. 3 Momentary (Jog): Press button A, receiver CH1 ON. 1 seconds later, the receiver CH1 OFF.